The Macala Ent. crew had a great time at MBLV 22 making new DJ friends and reconnecting with our old friends as well. It’s always a good opportunity to sharpen our craft and come back armed with knowledge and inspiration from our fellow DJ community! Let’s do it again! Joe married his lovely wife Olga 25 years ago. Joe is a firefighter. 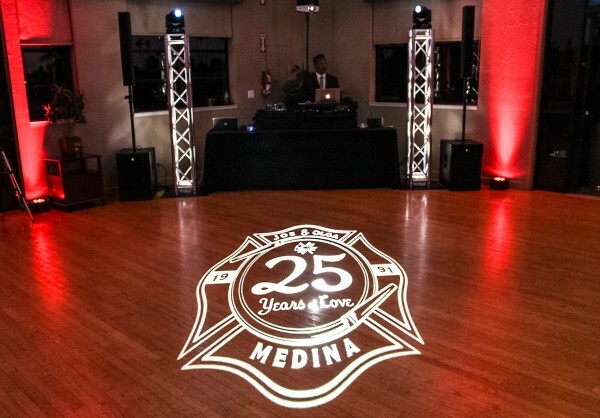 We came up with the perfect custom designed gobo for a great, fun couple. Congratulations Joe & Olga on the silver anniversary! Thanks for letting us be a part of your special celebration. 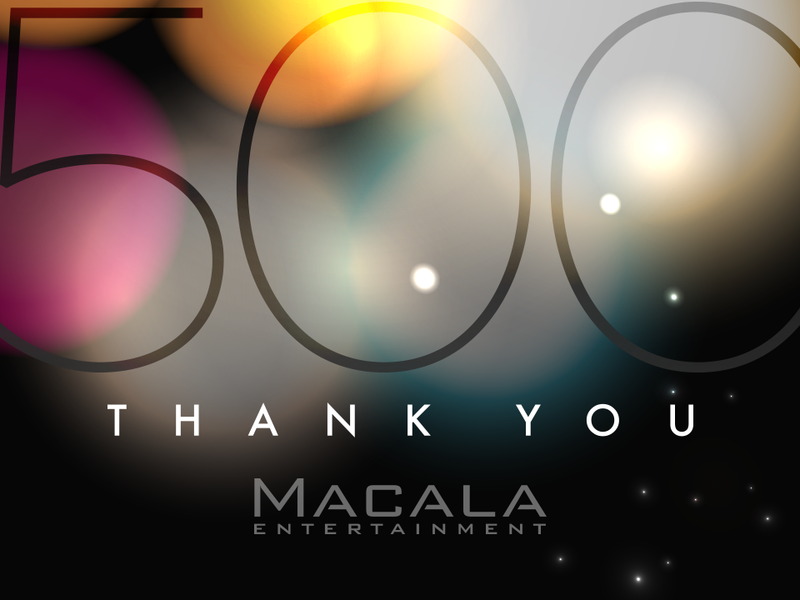 We’ve reached 500 likes on our Facebook page! Come check us out. 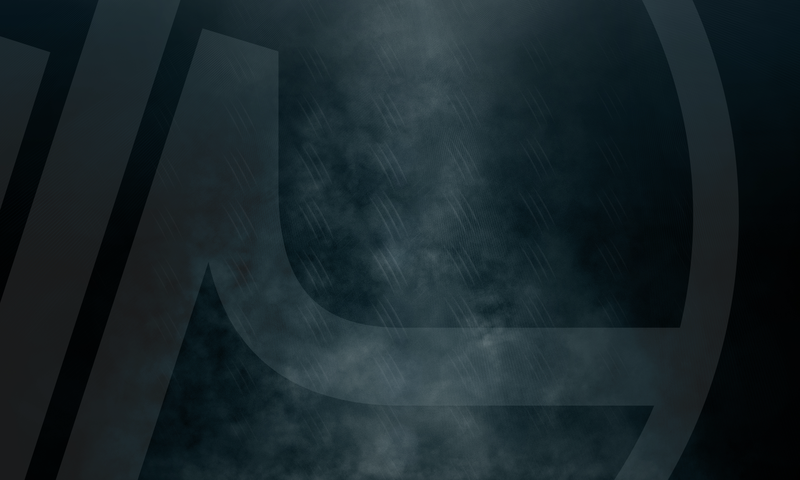 You’ll find our most up to date posts and behind the scenes footage. Click on the image below.